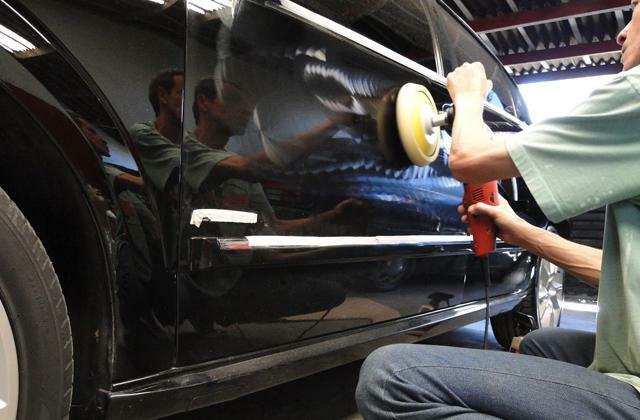 An additional air filter prevents dust particles from getting inside, positively affecting the service life of the tool. 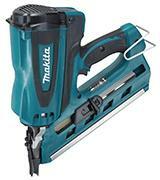 Makita Finish Nailer totally nails it in terms of the convenience and performance. Driving nails through the hardest of the hardwood was never this easy before. Must-have for all kinds of woodwork, including the roofing and furniture assembly. Comes with a DC power adapter and a couple of batteries, allowing you to recharge them via the cigarette lighter of your car. Not suitable for work under below-zero temperatures. 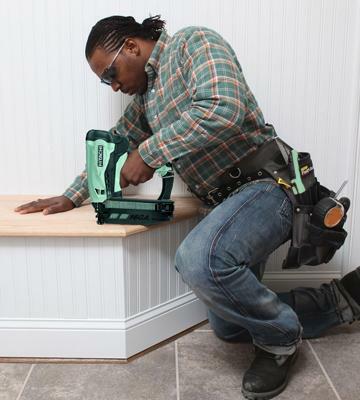 This reliable Hitachi finish nailer comes with all the necessary accessories for a comfortable work even on remote construction sets with a limited access to the power outlet. Several safety mechanisms that prevent accidental firing. An all-plastic interior housing without a rubber grip handle. 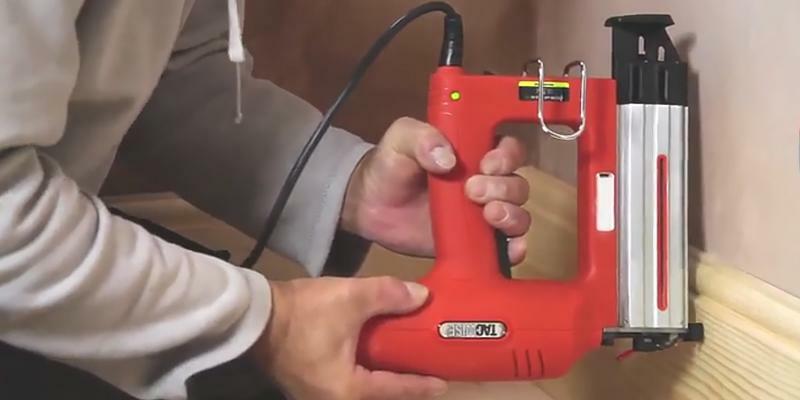 Tacwise Electric Finish Nail Gun is a corded option for those, who need an inexpensive nailer for house renovation or require a precise nailer for their woodworking projects or hobbies. The Griplight technology triggers the LED when a user grabs the tool by the handle. Not best for heavy-duty use. The Ryobi ONE + finish nailer may become a useful addition to the toolkit of any handyman who is often engaged in repair jobs. A durable aluminium body extends the nailer's service life. Sometimes it doesn't shoot the last few nails from the magazine. Thanks to the power of compressed air, Silverline Finish Nailer is an excellent tool that can drive 25 mm 16 gauge nails inside the hardest types of wood. An absolute choice, if you already have an air compressor. 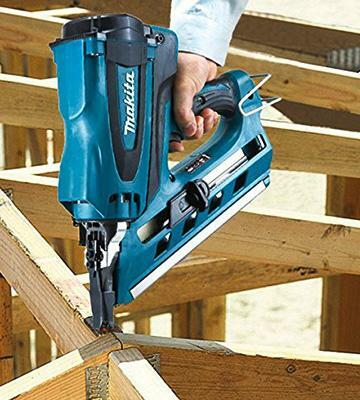 The Makita GN900SE is an angled finish nailer that effectively combines the previous model experience and time-tested design solutions. For instance, it can work on 2 types of gas tanks and requires a battery to operate. However, one battery charge is stated to be enough for around 4000 shots. The interesting feature here is that the battery is not strictly fixed inside the body but rather floating a bit to protect it from the constant shooting recoil. Furthermore, the battery recharge takes less than an hour, so you can work with it almost non-stop. 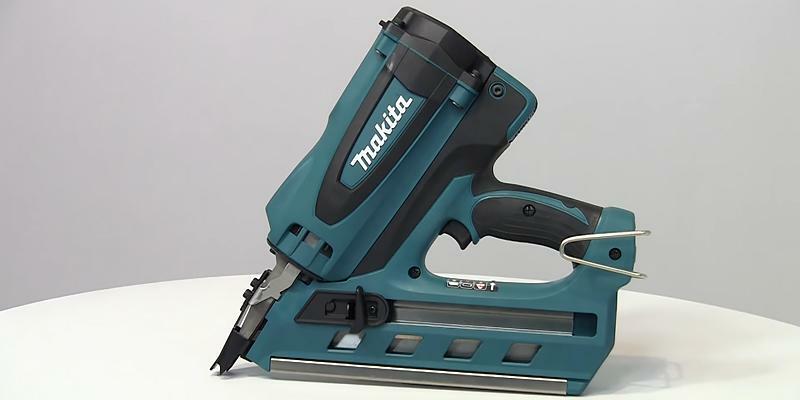 As for performance, the Makita GN900SE gas nailer shows top-tier results. The pressure force is enough to drive nails even through the thin metal plates, not to mention a dried-out hardwood or soft pinewood. Speaking of nails, the tool supports the nails from 2.9 up to 3.3 mm in diameter and from 50 to 90 mm long. 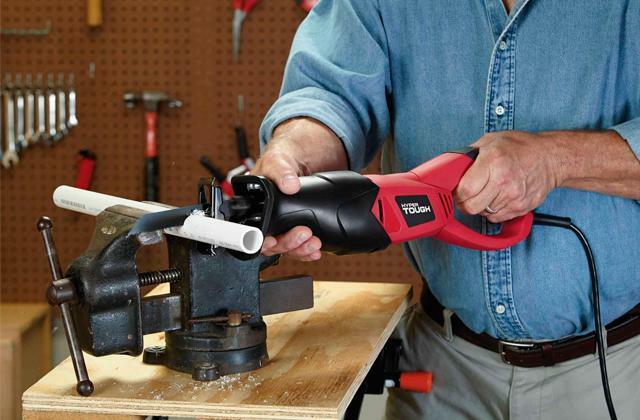 Although the nail magazine is loaded at an angle, the special rubber tip allows you to accurately position the nailer even in hard-to-reach spots at the direct angle and drive them right there with the utmost precision down to the nail tip. Also, the rubber on the tip serves to avoid marking of the same surface it's applied to. There's also a hanging hood with adjustable length for attaching the nailer to the toolbelt or hang it on a beam that can support its 3.3 kg weight. The tool boasts an air filter in the rear part that prevents the hard particles on dusty construction sets to get inside the body but permits the residual gas from the shot to come out. 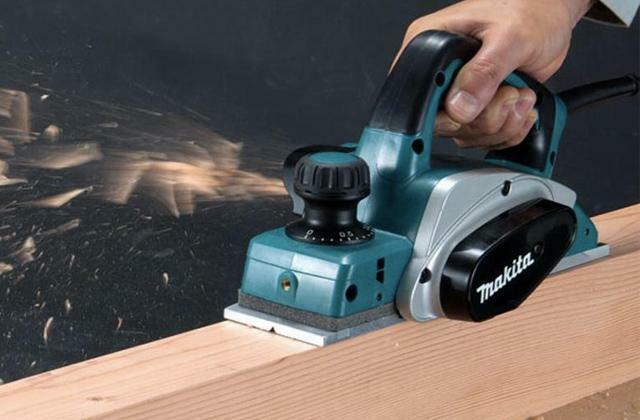 Considering it all, the Makita GN900SE is a powerful heavy-duty nailer with a reliable performance and perfect quality over price ratio, allowing you to conjoin the wooden or even metal materials in the blink of an eye. It's not a secret that some construction sets provide no access to an electric outlet to power up or recharge the electric tools. 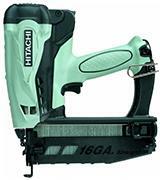 In such moments, workers can rely on the battery-powered tools like this Hitachi NT65GS nail gun. First of all, it comes with a spare 3.6V Li-Ion battery that can be recharged at any moment without any effect on the battery service life. Furthermore, the recharge can be done with both AC and DC power source like a cigarette lighter inside a car, thanks to the included adapters. Battery charge takes only around 1 hour and enough for 2000 shots, while 1 gas tank capacity is enough for about 1200 shots as well. The impact force is enough to drive the nail to the very tip even through the hardwood, securely fixing the thick wooden planks together. Despite having large dimensions, the overall weight of the tool is conveniently light. So, it won't pull your toolbelt down when you hang it on its metal hook. Although its soft rubberized grip is very comfy we strongly suggest wearing a pair of protective gloves while working with the tool. Speaking about protection, this Hitachi finish nailer comes with a hard case for transportation and includes, among other stuff, eyeglasses for user's safety. Overall, the Hitachi NT65GS Gas Finish Nailer is an excellent option for on-site jobs where the constant access to the electricity supply is limited or simply unavailable. In our reviews, we try to cover different types of tools. 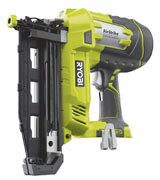 Thus, we couldn't ignore the corded variants in this finish nailer break-down as well. The Tacwise Electric Finish Nail Gun offers several major advantages over its gas-driven competitors. The best one is that there's no need to care about tank refills, battery recharge or placement of other additional supplies like battery docking station. All it needs to work is a simple power outlet. Furthermore, the Tacwise finish nailer is remarkably silent. Thus, it won't wake up or bother your family or neighbours, when you are working early in the morning or all day long with it. The tool features a 3-step safety procedure to shoot the nails. First, you have to turn the switch on, then the special light switch on the nailer body, and, finally, press the nozzle tip to the surface to send the nail out. That way, there are fewer chances that a child will use it without your permission. The only downside of the corded model's is that your movements are restricted due to the cord's length. However, feel free to use it with an extension lead as it doesn't demand high watts input. 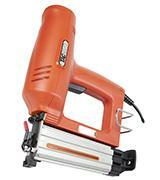 Performance-wise, this finish nailer works with the 20 - 45 mm long 16 gauge nails. To load the gun, just pull the lid on the left front side down, place a strip of nails inside, and close the magazine. Easy as ABC. The impact force is enough to drive the nail down to the very tip into any type of hardwood, not to mention dry walls. 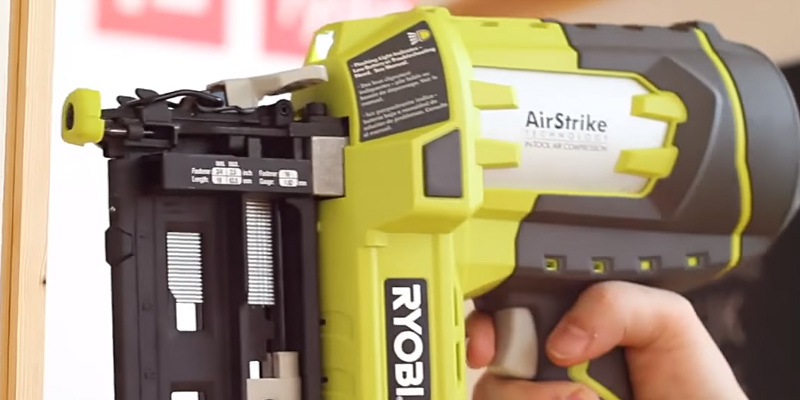 Though the RYOBI R18N16G-0 finish nailer has appeared on the market not long ago, it already has become popular among handymen from all over the world. And if you see to its specs and performance you will understand why. 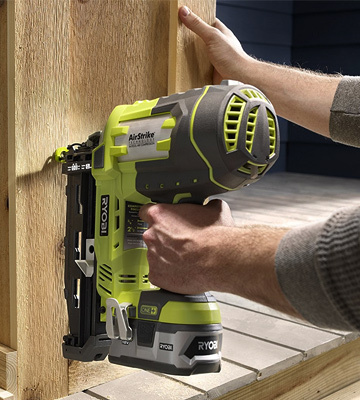 The RYOBI R18N16G-0 isn’t the smallest tool, obviously; however, due to its cordless design and ergonomics, its transportation and storage are extremely convenient. 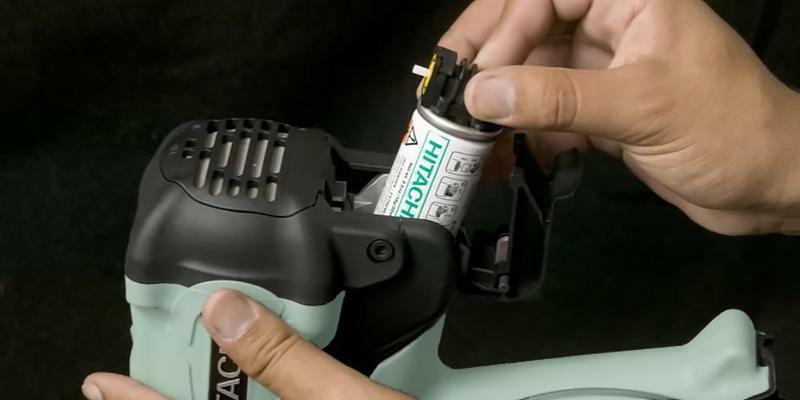 It requires neither compressor nor gas cartridges and it can be paired with a battery and a charger of any of the tools by the same brand. Handy, if you already use some. 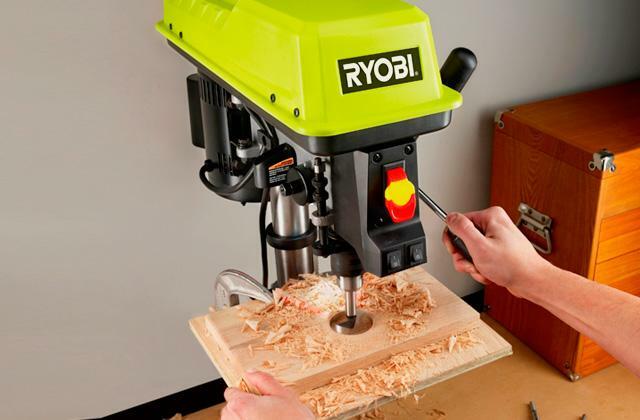 The RYOBI R18N16G-0 operates in two modes: Contact Actuated (Bump) and Sequential mode, with the first one used for production speed and the other for precision placement. The maximum number of nails the tool can staple per minute makes 60 in the Bump mode, which is more than sufficient for light-duty jobs. And when the nails run out, the tool engages the low nails indicator prompting you to load more. The reversible belt hook that comes in the box enables you to mount the tool to either side so that you can use it comfortably in various positions. 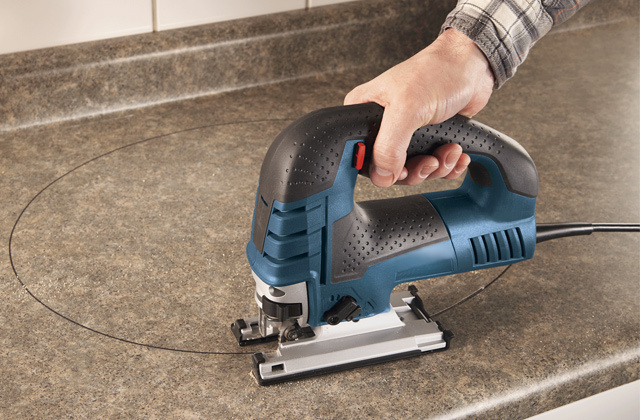 For added safety, the nailer features two non-marring pads that prevent scratches and marks on the working surface. Such amazing specs, along with a relatively low price, allowed the RYOBI R18N16G-0 to make its way in the chart of the top-rated tools and gain the trust of thousands of consumers. It is well suitable for furniture assembly, woodworking jobs and many other light-duty tasks that are common on construction sites. 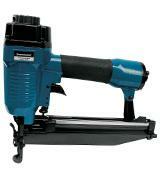 The Silverline 955431 air finish nailer is a pneumatic nail gun. Thus, you will need a compressor, capable of delivering 6-7 atm pressure and 200 SLPM flow rate. At such high values, the tool can easily shoot nails into the most stubborn types of wood, leaving almost zero marks on the surface. In order to preserve the body integrity under such a colossal stress load, the housing is made of durable and lightweight aluminium. The small wheel between the trigger and the magazine is responsible for the drive strength and can be adjusted without additional tools and hustle. Even if you choose the weaker strength that won't be enough for the nail to penetrate the wood, the jammed nail can be easily taken out, thanks to the tool-free anti-jam clearance system - simply unlatch the plate above the nozzle and tap the stuck piece out of there. All in all, the Silverline 955431 is also a safe choice for the woodworking factories where the mobility can be sacrificed for the firing speed and power. Considering the price, this Silverline finish nailer is also an ultimate solution if you already own a portable air compressor. What Is a Finish Nailer? Many people still use common hammers during construction and finish jobs. However, why would you want to waste your time and energy driving tiny nails in the walls if you've got an opportunity to use a real tool - a Finish Nailer? It should be borne in mind that apart from Finish Nailers, there are many other types of nail guns intended for different purposes and nails. 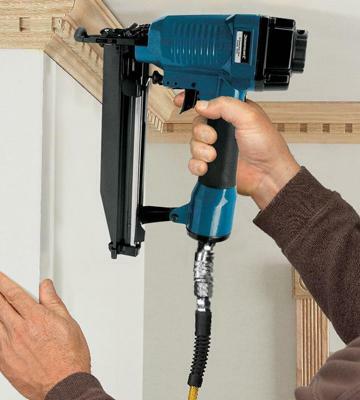 Finish Nailers, in their turn, are commonly available in 15 and 16 gauge variations. 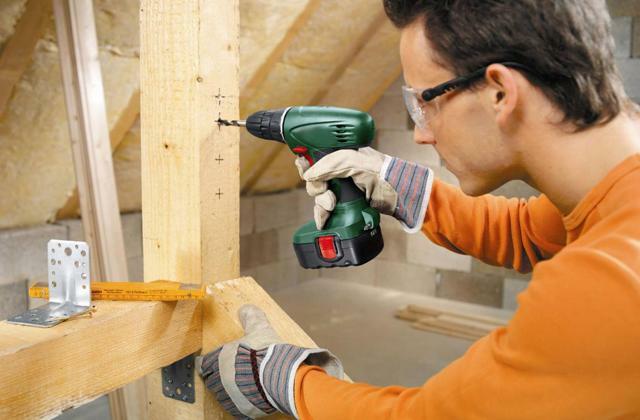 It's necessary to note that 15 gauge nailers can drive 2-1/2" nails and they are recommended to use with heavy wood planks for performing furniture, interior and exterior trim work. 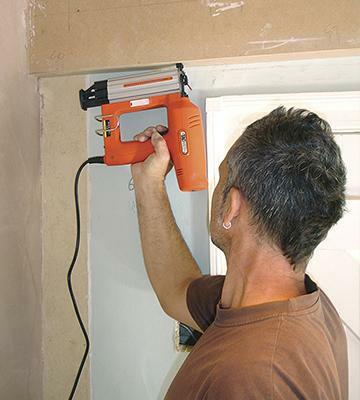 16 gauge Nailers are also used with 2-1/2" nails and they're ideal for base moulding, door and window casings. 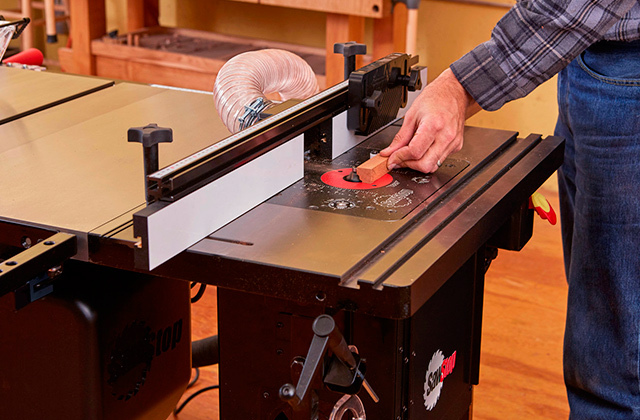 Recently, we've published several reviews of more products that can help you with the woodwork. 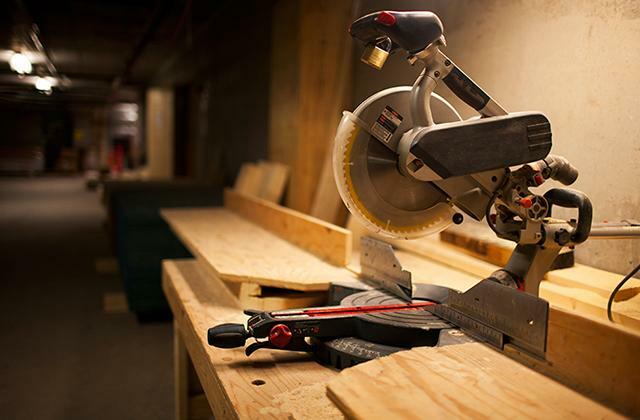 For instance, you might be interested in our pick of the best circular saws. 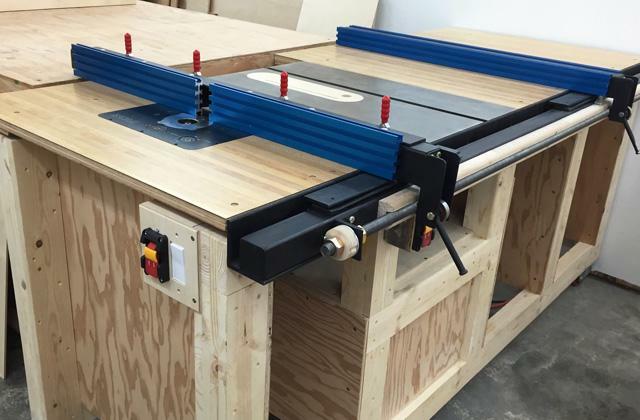 With them, you can move around the blocks of wood and make the cuts exactly where it's needed. As for the scroll saws, these stationary tools can be attached to the table and are used for giving the wooden material a state-of-an-art rounded shape. Pneumatic nail gun. 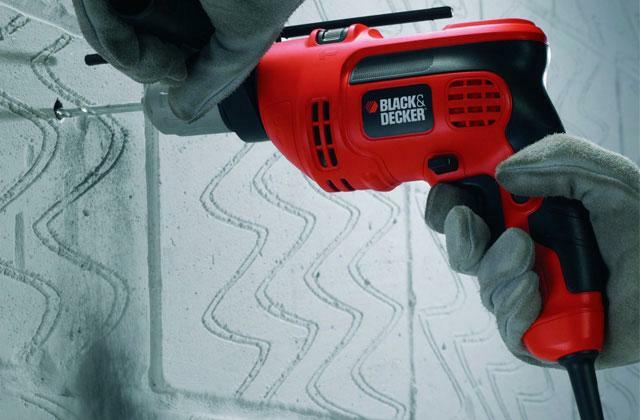 These nailers are most popular among customers. It's important to know that a pneumatic nail gun requires a compressor to supply pressurized air. Combustion or gas-powered nail gun. To work with such a tool, it's necessary to have a gas tank (propane is the most frequently used). 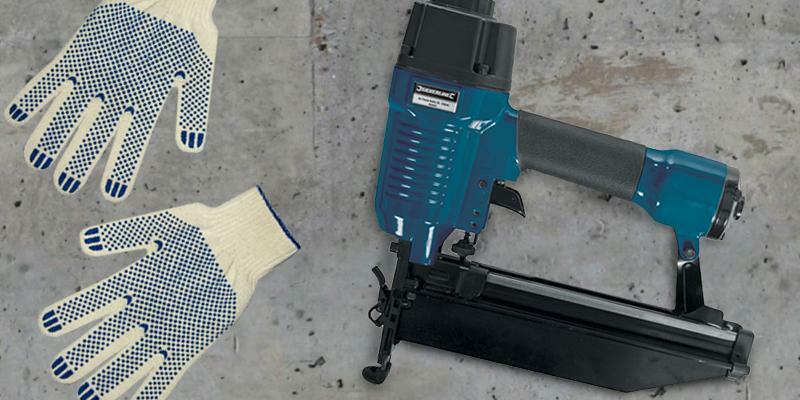 The nailer can come with or without the tank, but still, you'd need it. Electric nail gun. These models are used for finishing jobs. As a rule, electric nailers have small dimensions. When choosing the Finish Nailer, pay attention to the technical characteristics that influence its operation and efficiency. 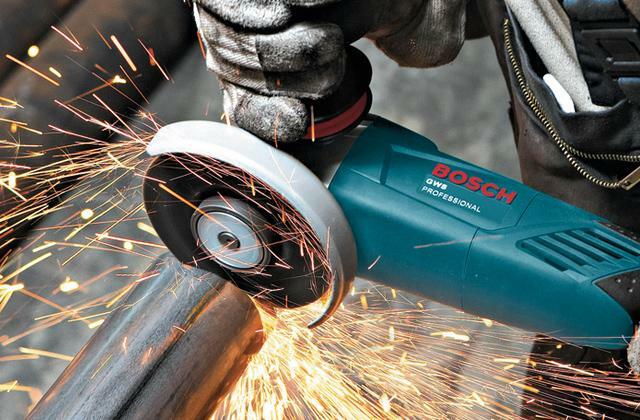 If you consider electrical or battery-powered appliances, estimate the tool power. Likewise, pressure indicators are essential if you're going to work with pneumatic finish nailers. Don't neglect a nail magazine capacity - the more nails it can hold, the less time would be required to load them in. 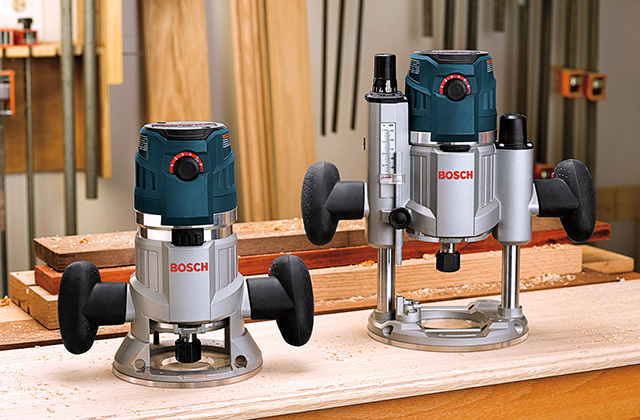 An angle the nailer can work at is equally crucial - it'll make your work more maneuvering. Another vital function of Finish Nailers that can significantly simplify your work is a nail depth adjustment. Consider different additional features too so as to see what benefits you can acquire together with a purchase. Some of them are light weight, air blower, battery charge indicator, lockable contact trip, belt hook, etc. 1. Choosing The Right Finish Nailer, DoItYourself.com. 2. Justin Fink Choosing Trim Nailers: Which Gauge Finish Nailers Should You Own? FineHomebuilding. November 1, 2012. 3. David Radtke Finish Nailer Tips, The Family Handyman. 4. Nailers Information, Engineering 360. 5. Tom Harris How Nail Guns Work, HowStuffWorks.